In 1878 English cattleman Moreton Frewen named the area on Powder River where he located his 76 Ranch headquarters “Sussex” after his home county in England. But decades before Frewen marked the beginning of the Cattle Boom in Wyoming, the Sussex area East of Kaycee was the stage where early explorers, travelers, trappers, the US military, and even missionaries played their part in Western expansion. 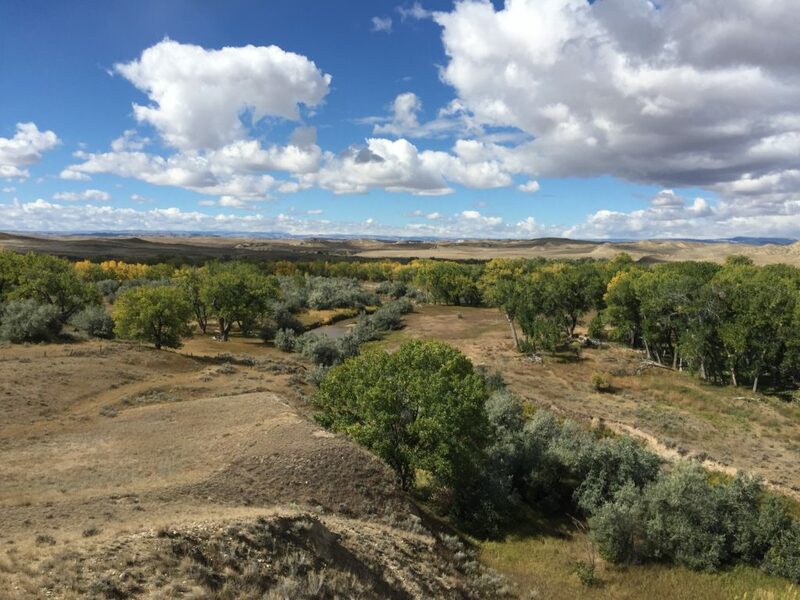 The fascinating and little known history of these people and events will shared by knowledgeable local historians as you travel by bus eastward from Kaycee through the Powder River Country. Tour will be held on Saturday, September 7, 2019 and the deadline to register is September 1st. Tour Cost is $55 per person, which includes lunch at Fort Reno, and begins in Kaycee at 9:00 AM. Registration is required in advance and space is limited on the bus, so sign up early. Overlooking the Townsend Wagon Train Fight in beautiful Powder River Country East of Kaycee.